Our house is ideal for your holiday. 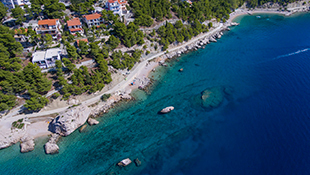 It is located next to the beach in a natural setting of forest and stone. 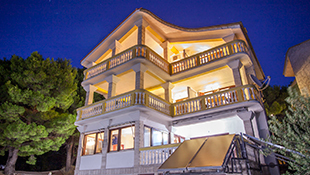 The apartment offers breathtaking views of the islands of Brac and Hvar as well as the mountain slope. With pearly glow of the sea, peace and quiet and of course with our welcome you will certainly forget all your daily stress. 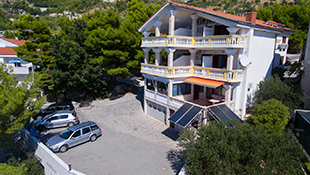 Beach Side Brela *** can offer 6 apartments equipped with all necessary items for your vacation. So, in all apartments we have air conditioning, kitchen, fridge, interent, balcony, bathroom, etc. Each apartment have it's own free parking spot. 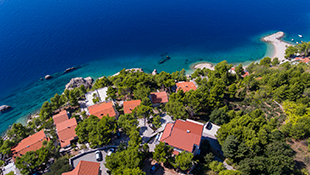 If you decide to have active holiday than we would like to make a small recommendation: the city of Dubrovnik, Split, Mostar, city of Imotski and its blue and red lake, Krka waterfalls and tour the islands. We wish you a pleasant stay.